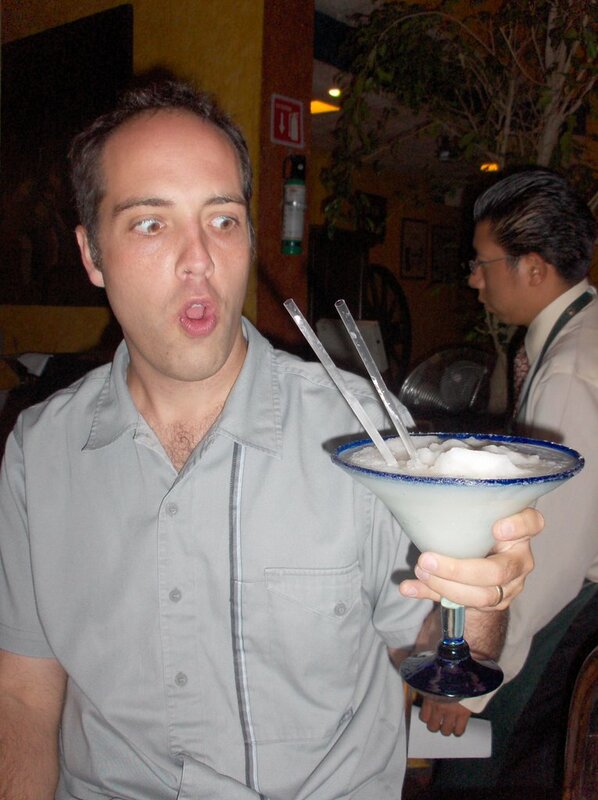 Matt Mikalatos: HOLY MARGARITA, BATMAN! This margarita we saw in Mexico City was so huge that I had to get my picture with it. Okay, okay. I will admit that after the picture I took a quick swim in the margarita. That is all.